Mold one of the most common problems in any house. Mold loves damp, dark, isolated spaces, making your bathroom a perfect place for it to breed. Typically, a bathtub, shower, or entire bathroom remains damp enough for mold growth just from showering or bathing. And while mold is a common problem in bathrooms, luckily it’s also one of the easiest to cure — as long as you haven’t let it get out of hand. Don’t forget to heck out hidden areas, such as under sinks, access doors to shower and bath fixtures, around exhaust fans, even in crawl spaces and basements underneath bathrooms. 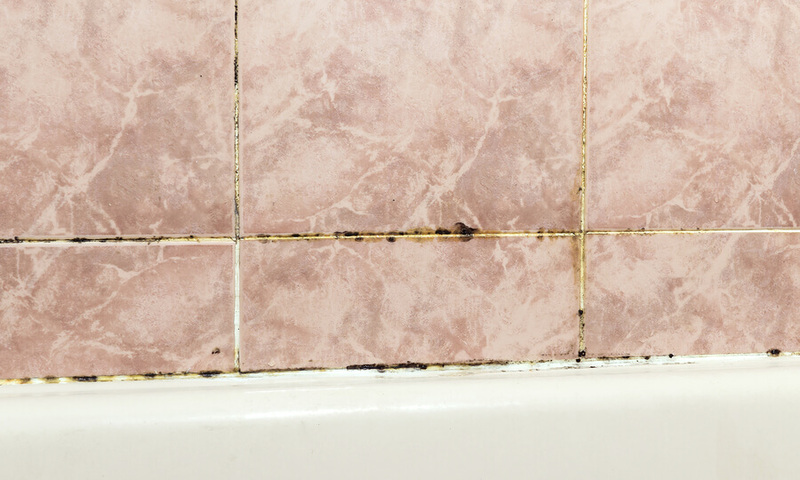 If there are signs of mold there, mold spores are probably already on your bathroom walls. You will want to tackle your mold issue fast to prevent it from spreading, doing further damage, and causing health problems. Mold removal is imperative. If your mold infestation isn’t large, you can take remedial measures yourself. Be sure to open windows and doors while cleaning to provide fresh air and help dry out the mold. You should also Strip away and replace any caulking or sealant that has mold growth. Scrubbing your walls with hot water with soap should remove most of the mold. Then you can clean your bathroom walls with mold-killing products, such as bleach, vinegar, or hydrogen peroxide. Just don’t mix those products. Mixing can cause toxic reactions. Mix the ingredients above in a bowl until the borax dissolves. Pour into a spray bottle and liberally apply on painted walls, tile or other non-porous surfaces. Scrub thoroughly and wipe clean. Spray again and let sit 10 minutes before wiping dry. Bleach can kill virtually every species of indoor mold that it comes into contact with, along with its spores, leaving a surface sanitized and resistant to future mold growth. Unfortunately, however, bleach cannot penetrate into porous materials and so it does not come into contact with mold growing beneath the surface of materials such as wood and drywall. Using bleach on these materials will kill the mold above the surface but the roots within the material will remain and the mold will soon return. Pour the bleach and water in a spray bottle and liberally spray on painted walls, tile or other non-porous surfaces. Scrub thoroughly and wipe clean. If any mold remains, reapply and let sit 15 minutes before scrubbing. Spray again then wipe clean. Mold can cause allergic reactions and poor health. So if you have an extensive problem with mold in your bathroom, it may be best to contact a professional mold removal company. U.S. Environmental Protection Agency also recommend you call in a professional cleaning company if your problem is larger than 10 square feet. When you see it creeping into walls and insulation, you need a professional. Mold & Air Quality Professionals can help rid your bathroom of mold. We can also pinpoint the cause and offer you the best prevention methods. 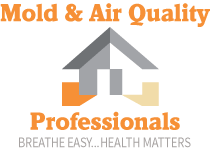 Those who live in NW Ohio and SE Michigan can contact Mold & Air Quality Professionals by dialing (734) 755-3457. In NW, central or lower Michigan call us at (231) 679-2622.